Awareness about a cause is not found with a Facebook status message, nor placing a colored ribbon on your car, or even buying products that support them. Awareness is knowing someone that has battled something, realizing how it changes their life, and trying to help them. A post by my friend Ellen, Confessions of an IT Girl, titled On Awareness hit a nerve with me. Prior to this, Ellen also wrote about the recent coverage on the Susan G. Komen Foundation discontinuing their support to Planned Parenthood. As I have been trying to take everything in, TechyDad sent me a link to he video below. It is about the new documentary called Pink Ribbons, Inc. that will be released in Canada today. Over the years, I have supported the Think Pink movement, especially when my amazing friend A Frugal Friend has her month long event in honor of her mother. I have watched my aunt bravely battle cancer. She has been a survivor for almost nine years now. As others have noted, I have also seen the focus of the moment stray from helping people who are fighting for their life against breast cancer to a more commercial message. I am not a fan of this. I must say, I think it’s a bit odd that funding was cut this week, perhaps to take focus away from this new documentary that would also paint a not so pretty picture. Conspiracy theorist I am not, but it just is odd. This makes me more focused to see what I can do to help others. Ellen’s post made me realize that I can call local oncology groups to see if they need knitted items for patients. Perhaps a lap blanket while sitting and receiving chemo, a pretty hat to make them less upset about their hair loss, or some cloths to help them pamper themselves. I also hope to see the film and work more with my family and community to make a difference. If anyone has seen a preview, I would also love to know your thoughts. What would you do to help an organization or cause? Think of a way to bring awareness to the real people involved. I agree with you that the focus hasn’t gotten away from it’s true purpose. When I choose a cause to support, I do it because it has influence my life (or someone close to me). It’s not because of a pretty color. I love your idea of making blankets for oncology patients. I have made them for children in hospitals before and I know they are appreciated. Thanks for the shout out. I’m heartened to see the discussion move away from finger pointing to action. It is the power of social media to motivate and it does seem like voices are being heard. I would love to see that movie – seems spot on with what I have been feeling. I also think that making blankets and hats would be a great idea! Greed will always take away from the real message of any cause. I viewed the video, and it definitely left me wanting more. The blankets are a great idea. You could also offer to run errands, drive them to appointments and donate magazines and books. Having watched my dad battle cancer and lose his battle very quickly, the thing that meant the most to us was when people did simple gestures such as sending food, coming to sit with us or my dad, or sending cards/prayers. My best friend of 37 years whom I’ve lost touch with over the years, actually just showed up one day at my house with a car-ful of groceries for me. She knew I was spending so much time with my parents and she wanted to do something to help out at my home with my kids. Wow! That really makes one think. I’m anxious to see how this all pans out. We donate time and funds through our church to many different causes. I ran my own 501(c)(3) nonprofit for 6½ years after one of my infant twin boys died, knitting and crocheting care packages for other parents who experienced losses, for their babies (either for burial or to hold onto as a memento, etc.). That was and remains a cause close to my heart but I closed the charity down a year ago when I realized it was taking too much of a toll on me and too much time away from my 3 living children. I helped at the Diabetes Research Foundation walk this year, since my mom died of the disease at age 33, and next year I plan to walk in it and raise money for the cause. Breast cancer is also in my family, so I do support the cause, but in more financial ways than giving time – though I have donated my hair twice. This is actually something that has been on my mind lately. I lost my little brother to cancer in 1998 and I’ve been feeling that maybe there is something I could or should be doing to honor him. I’ll be watching your responses for inspiration. Thanks for posting such a great question this week. 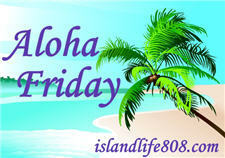 Menopausal New Mom´s last blog post ..Aloha Friday – Advance Shopping?? As we hand out money we have to further investigate if we are actually giving our money to a charity or a political action group, Susan G Komen definitely drew their line in the sand and it will be VERY hard for me to donate to them again. I know they have been questioned about their motives before, I think it really started off with the best of intentions. Don’t let the ‘Not-for-profit’ moniker full you, someone always profits when money is involved. The true question is: IS the RIGHT people profiting! I am so angry about this Komen thing. I have raised so much money for them in the past. They aren’t even backing down from all this. It’s suppose to be about our ‘boobies’ not politics. For me, we give money and manpower when there is a walk or program that requires people. And we do monthly charities personally and through our church. I keep noticing these news now about these organizations. It’s interesting. We just need open to see where finances go that people work hard to raise. We donate money, items and our time to great causes. Plus I’m working with a friend to help start a local chapter in Memphis. We could use some donations to help get our chapter off the ground. It’s such an important cause to me because my mother had Breast Cancer. Her birth mother died from it and I’m high risk for it.